Stop for just a minute - take a look around your desk at work or in the fridge at home. How many bottles of water do you have? What will happen to the bottles when you drink them? Will you recycle or will they become fodder for junk removal? Is the bottled water any "better for you" than what you are getting from the tap? Amazing, but true - bottled water is one of the most massive pollutants in the world -- and one that is showing no signs of slowing down. 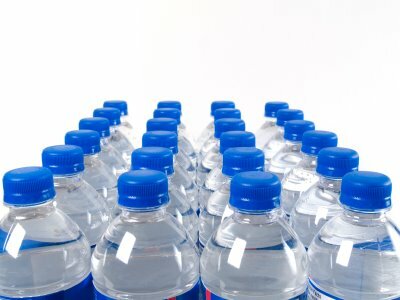 Even more astonishing is that bottled water is often times, due to a release of chemicals from the plastic when heated (in moving or storage), WORSE for you than any tap water. Check out the powerpoint below and start thinking about how you are consuming and disposing of your plastic water bottles. Also, consider what you are putting in your and your kid's bodies. Even more than the landfill issues might be the health ones we're creating each day. We can all make a difference in lowering consumption and increasing recycling when we do consume. 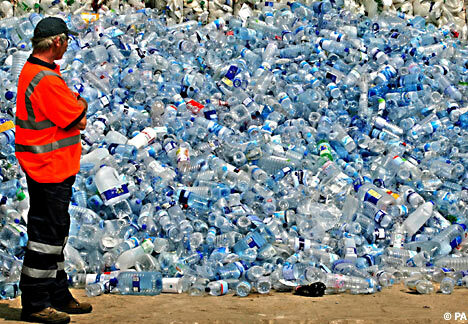 Bottled Water, Do We Need It?